Hello out there! I finally got around to making a new blog banner, having been inspired by a fabulous digital kit from Deviant Scrap called Ode to a Muse 2. The Muse referenced is Michael DeMeng, master purveyor of all things creepy-cool. 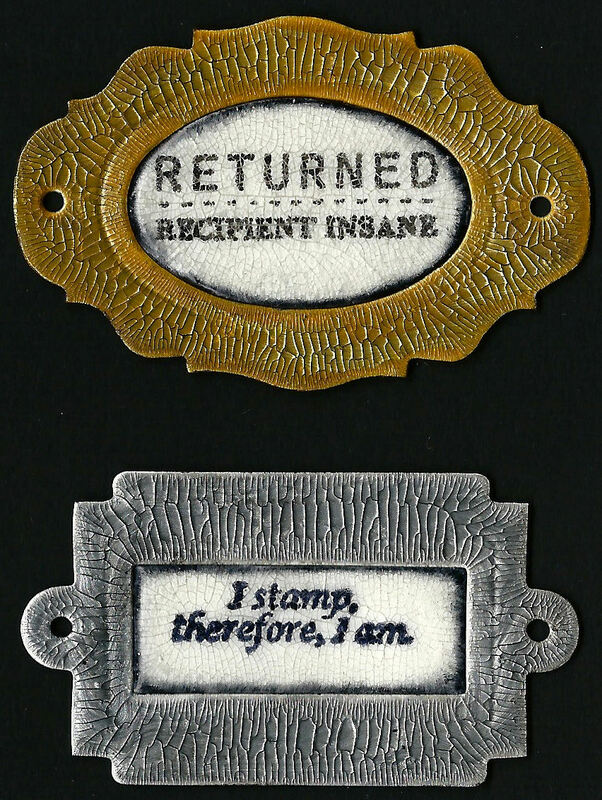 He teaches workshops and also has a line of stamps with Stamper's Anonymous. 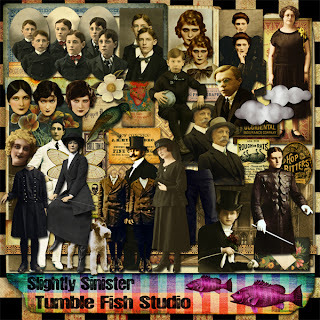 My banner was made mostly with elements from the Ode to a Muse 2 kit. But the man in white and the little boy are from another Deviant Scrap kit, Slightly Sinister. Have fun and enjoy the holidays coming up. See you soon! Gee, can you believe - two posts in two days after the big gap? Well, there is a fantastic new technique by Shelly Hickox that you can find on her blog and I couldn't wait to try it. The technique is called Faux Crazed Porcelain - it is simple to do and yields great results. On Shelly's blog you can see the photo of her tutorial sample that shows how glossy the finished "Porcelain" looks. I scanned my bookplates, and unfortunately you can't see the gloss. The frames are done with Ranger Crackle Paint in Tarnished Brass and Brushed Pewter. After it was dry, I rubbed it with a Ranger black paint dabber, then wiped with a paper towel. They look great in person. 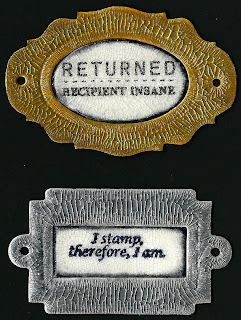 The tags were cut from white chipboard using the Tim Holtz Tag and Bookplates die. Stamps are by River City Rubber Works and Nick Bantock. Of course the centers were made using Shelly's Faux Crazed Porcelain technique. Be sure to go look and try it! You should be able to click on the picture for a closer inspection. Ranger Crackle Paint is magic in a bottle! Good morning, Tim Holtz fans! Long time, no post. But here I am, back again with a tag that I am very happy with. I included two pictures, one with flash & one without. One shows better color and the other shows better detail. 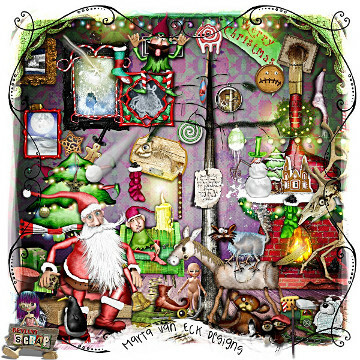 My inspiration for this tag was Tim's day 12 Christmas tag from 2010. My "live, local" card swap group, the Card'Ologists, had our 10th anniversary this month. So instead of making a card, I made this totally Tim tag for each member. I typed the phrase "Card'Ologists 10th Anniversary" repeatedly using lots of different fonts and font sizes. That was printed on Paper Trey cream colored card stock. Using Tim's Tag and Book Plates die, I was able to cut 3 tags from each 8 1/2 x 11 sheet. Using that same die, the reinforcement was cut from Grunge Paper. The Umbrella Man was cut from Grunge Paper, colored with Distress Stains, stamped with the Simple Stripes Stampin' Up bacground stamp, and sprayed with Inkadinkadoo Black shimmery spray ink. The rose pieces and leaf stem were cut from retired Stampin' Up Marvelous Magenta card stock (rose) and Stardream green card stock (leaves) using older Sizzix dies. The rose pieces were stamped with the Flannel Plaid Stampin' Up bacground stamp. The green Stardream metallic card stock didn't want to accept ink on the edges, so I used a dark brown Sharpie Marker. 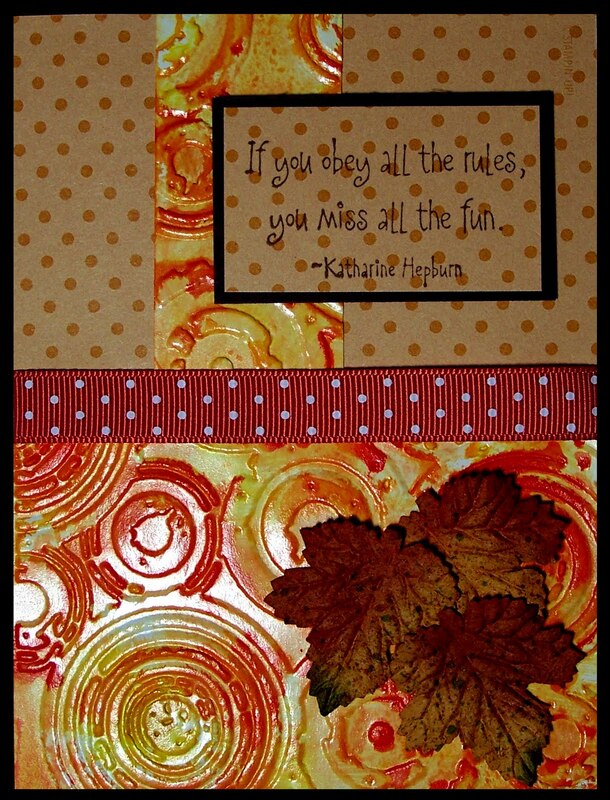 EVERYTHING was distressed around the edges with various colors of Distress Ink pads. The leaves and roses were pounced with Ranger gold Ink Dabber. I printed the calendar I found on line with brown ink on Curious Metallics White Gold card stock. 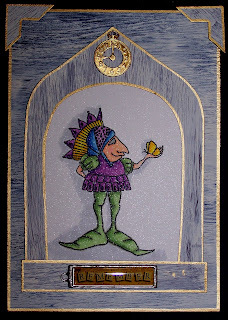 the "10" digits were cut from Curious Metallics gold card stock using an alphabet set by Cuttlebug. For the last detail, I looped 5 coordinating fibers through the reinforcment at the top of the tag. I hope you enjoy looking at this tag as much as I enjoyed making them! OK, I know you LOVE free stuff - and this is your chance for great prizes! 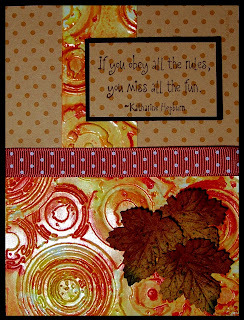 Pat Huntoon's Technique Junkie Design Team is participating this week in the Stampotique Designer's Challenge. One lucky participant will win a Two-Year subscription to the Technique Junkie Newsletter (on-line only) and a Fancy Folds and Motion CD. The other winner will receive a $30 gift certificate to use on the Stampotique Store. Instructions for participation follow my card. If you don't own any Stampotique stamps yet, you are in for a treat. I made my card using Phineas from the Amy Wilson Wellenstein Collection. The frame and background pieces feature the Faux Barnwood technique from the February/March 2011 issue of Technique Junkie Newsletter. Phineas is stamped on Curious Iridescents Cryogen White card stock and colored with Copic Markers. You can click on the card to see it in large format. 1. For this challenge, use Stampotique Stamps only. 2. You must use either the Faux Barnwood Technique or another Technique Junkie technique of your choice, and state which one you used in your post. 3. 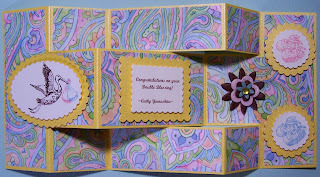 On the Stampotique Designer's Challenge blog, you must link directly to your challenge post, not to your general blog. 4. The contest will close on March 8, 2011, at 5 PM EST. 5. Have fun and show us what you can do! Hello, fellow crafters. 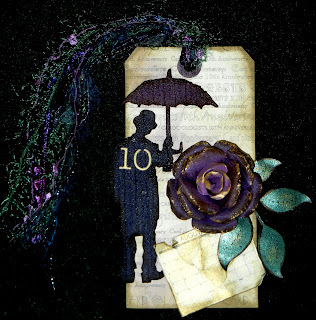 Dig out your embossing folders and your various die cutting systems, and then go and order Pat Huntoon's latest Technique Junkie publication - the Emboss or Die CD. There are 79 pdf tutorials which can be viewed on your computer or easily printed out on 8 1/2 x 11 paper. Go to Pat's blog, The Technique Trail, and click on the link on the right hand side. Here's a sample that I made for the CD using a technique called Resist and Reveal. The melting clock stamp is from smARTworks. There you have it! Now go get the new Emboss or Die CD and get a big creativity boost! 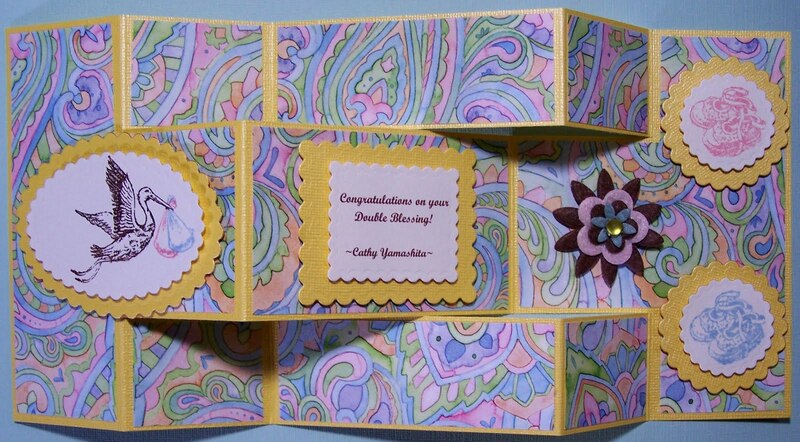 Fancy Folds and Motion Paper Crafts CD is HERE! If you love Fancy Folds and Motion projects, or have ever wanted to try them, here is your chance! Pat Huntoon of Technique Junkie Newsletter has announced pre-ordering for a CD with 60 tutorials (ships in November). Half of them are collected from previous issues of the Newsletter, but 30 of them are brand new. All tutorials are step-by-step, with a picture for each step, plus a list of all materials and cutting dimensions. 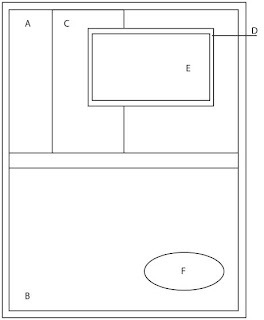 If you want to work from paper instead of your computer, the tutorials are already set to print out in 8 1/2 x 11 format - perfect! The CD also has wonderful finished examples of each technique to inspire you, including the one below that I made called the "Tri-Shutter". This is SO much easier than it looks and is one that you really should try as soon as you receive your CD. The stamps on this card are by Stampin' Up. The sentiment was printed on my computer. 1. E-mail Pat Huntoon for an invoice. 3. Go to this page on the Technique Junkie site for a direct paypal link. Note that you do not have to have a PayPal account to use PayPal. You will be given the option to use your credit card info as you would with any other on-line order. Woo Hoo - New Crafting Ideas!! Hello, technique lovers! The fantastic Oct/Nov 2010 issue of Technique Junkie Newsletter is in the mail and live on line. The Blog Hop officially begins at 8 AM on October 10th. Did you see Judy's lovely handiwork? If not, start at the first stop - the Design Junkies blog. In part to celebrate the EIGHTH ANNIVERSARY of the Newsletter, you have the opportunity to win "Technique Junkie Subscriber for Life" including all back issues and CDs!!! 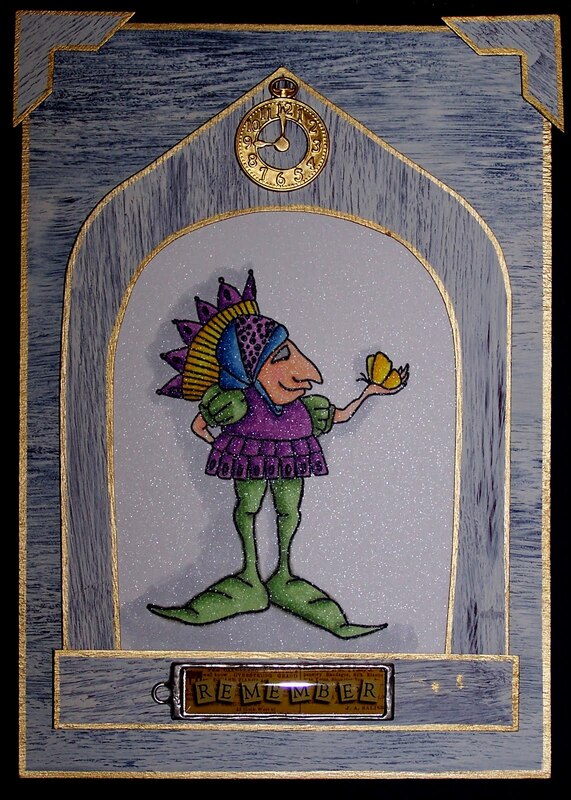 All you have to do is create a card per the sketch below, comment on the Technique Trail Blog and post your card. You'll find complete instructions there. And here is the card I made using the sketch. Panels B anc C on my card use the Faded Textures technique from the new newsletter. 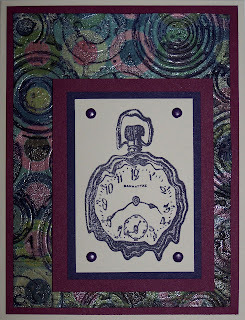 The sentiment stamp is by Inky Antics. The next stop on your magical mystery tour is Chrissy D. Hop on over to see what she has up her sleeve. Then go forth and create your best! art-ful, adj., 1.using or characterized by art or skill. 2.wiley. Get the Mickey Clock - Relogio do Mickey widget and many other great free widgets at Widgetbox! Photos, text and artwork on this site are the property of Cathy Yamashita. Do not take or reproduce content in any form without my written permission. Feel free to use my art as inspiration for your own, but do not copy my art and claim it as your own. If you see something on my site that you believe is yours, please contact me. Thank you for your consideration. I am a retired engineer and full-time crafter, and I've tried a bit of everything. I hand-sewed my first Barbie dress at age nine and the next year my sister and I went door-to-door selling candles we made by pouring melted wax into Dixie cups, then decorating with glitter and plastic flowers. A couple of years later, it was fried marbles. Most of my artwork now involves stamping and paper crafting, but I recently completed 150 on-line lessons for Paint Shop Pro. Digital kits are fun and challenging. Did you notice my banner?